The Privateer - theprivateers Webseite! Under hoisted flag, the crew of "The Privateer" sails the waters of sunny southwest Germany. 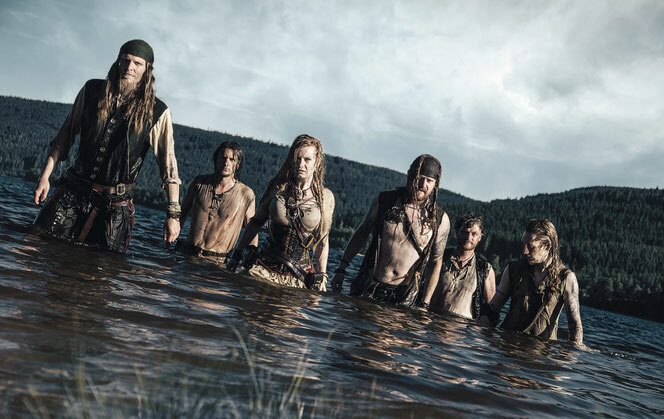 Inspired by classical Heavy Metal, as well as modern Death- and a bit of Power metal, doused with a barrel of rum and a pinch of sea salt, they have created their own characteristic sound. Influences from Folk Metal are particularly highlighted by the use of the violin. The varied vocals which alternate between clean vocal, screams and choruses give their sound a special note. With their songs they tell stories of hidden treasures, distant worlds, old nautical lore, and the myths of the sea. Latest Music-Video from our new Album "The Goldsteen Lay"